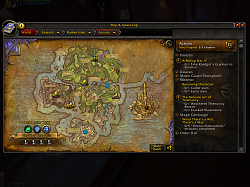 Adds a custom tracker, you can manage which quests you want to do. 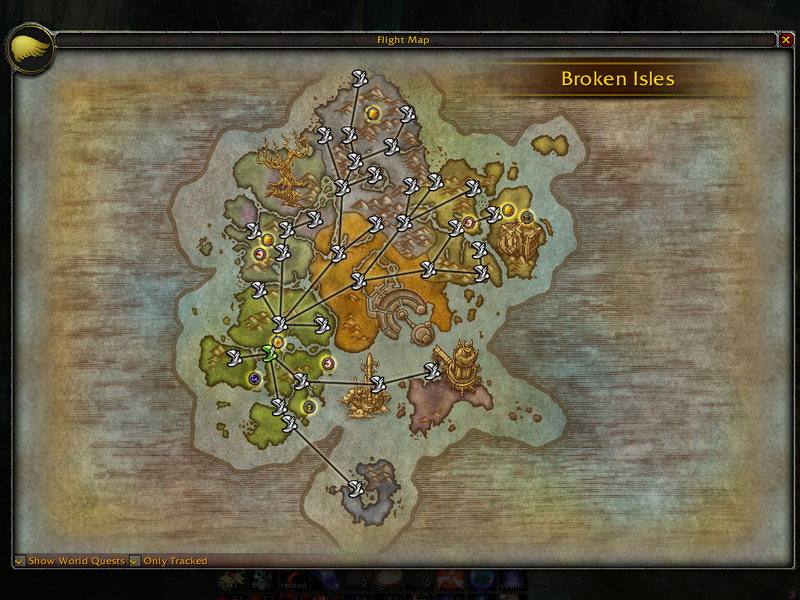 List quests directly at the Broken Isles map. 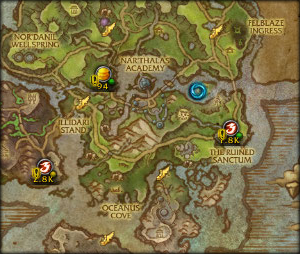 Changes the quest icon on zone maps. 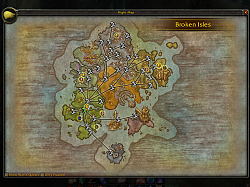 Quests you are currently tracking are shown on your fly map for ease of selection the desired point. 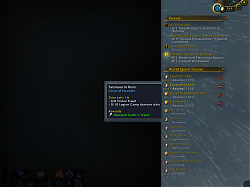 World Quest Tracker and Details! are made by the same author! 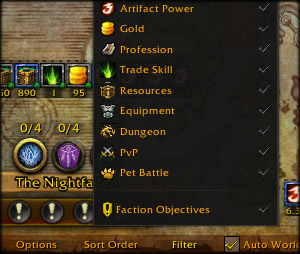 Love this addon! Great work man. Why give it up while it is still functional and people are using and enjoying it like myself? Yes, if things change they may want to consider it then, but blizzard have been known to change their minds before, although I don't think they will this time, which is really annoying. I do hope they maintain it and maybe there are a lot of other functions that this could potentially be used for and not just what has been mentioned on MMO Champion. fyi the version downloaded is now the 8.0 one, not the 7.3.5 one. Hey, this is actually intended, we added a 'Pick the version you need' in the addon description with a link to 7.3.5 version. the quest objective tracker WhoFramedWatcherWabbit? any chance we can get the subject added. 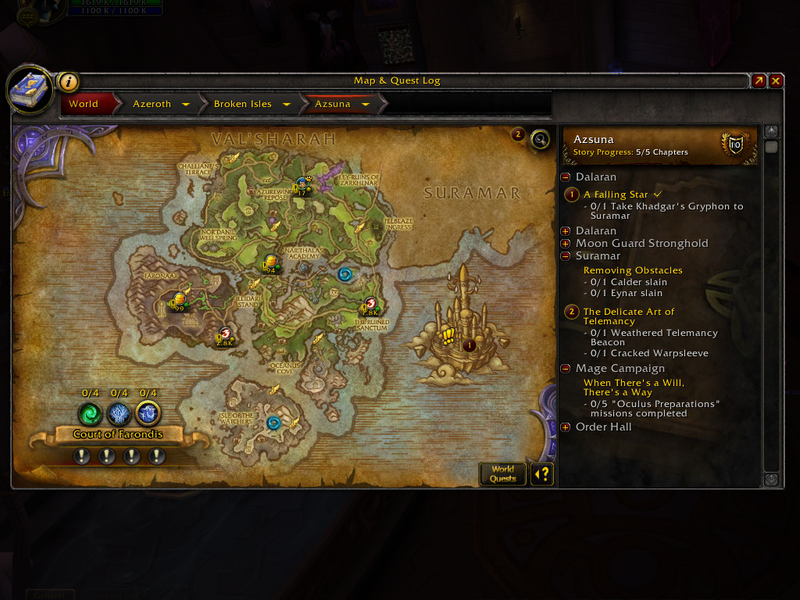 as it stands wqt needs to be disabled to see the location points. Yeah I agree, can't see some WQs with WQTracker on. 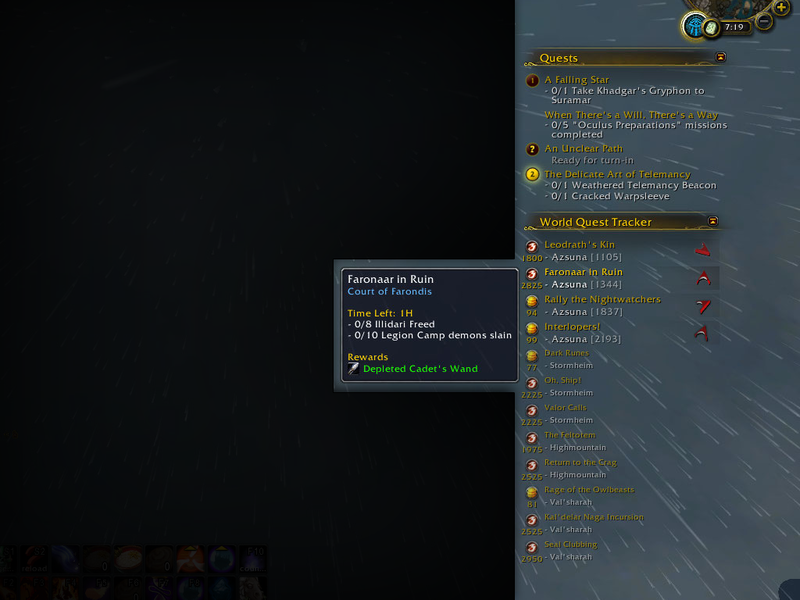 Thank you very much for adding an option to reduce the size of World Quest Tracker. I was wondering if a "Less Than Tomorrow Reset" can be added for the "Time Left" option. 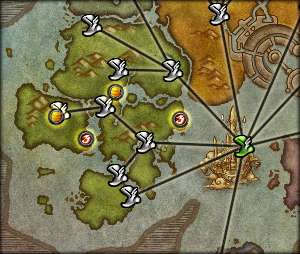 This way, I know I'll be doing a world quest without having to worry about it that might be needed for the next day emissary, because the world quest has less time than the tomorrow reset. Last edited by leev18 : 04-02-17 at 05:54 PM. 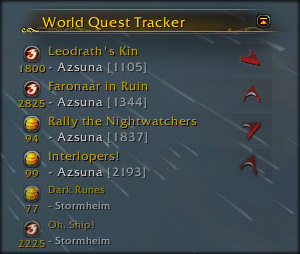 So far, there are only options to enlarge the World Quest Tracker. 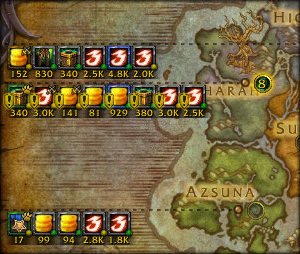 I would like an addition resize option to reduce the size of the World Quest Tracker to 90%, 80%, 50%, etc. 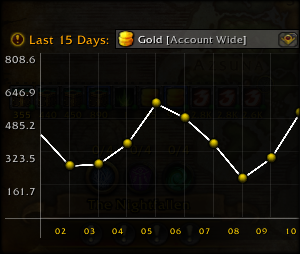 Awesome addon by the way. - Total amount of honor available on the map with option to select all pvp worldquest, showing a progress bar of your honor level in the tooltip same as the AP display. Last edited by Tonyleila : 11-17-16 at 01:38 PM. Thanks for adding the scaling option. Being to read is great! This is crashing WoW for me. All I can say is accessing the map while it's on will often crash the game. When it's disabled, it never crashes when accessing the map. Yesterday it happened when I clicked on an icon on the map. try latest version r88, report the results. 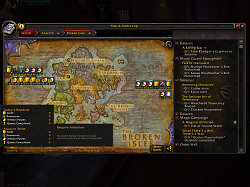 take in mind crashes are a problem in the game client, if is crashing for you, we need to discover why the game crashes and report the problem to blizzard.